Unless you're well-versed in roofs and all the work that goes into properly maintaining one, you may not know which roofing services are needed. Is the structure on the verge of requiring a full replacement or do you just need to hire a roofing contractor for a few spot repairs? Before making any major changes, here's a quick guide to help you determine which route is best for you. 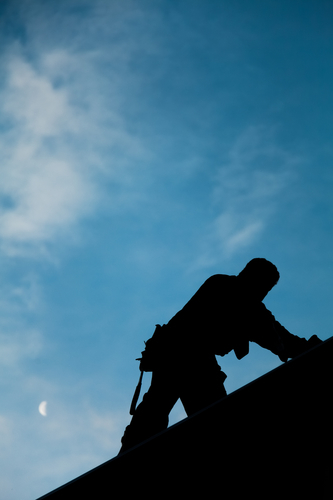 Roof replacement might seem extreme, but the situation may call for it depending on the state of the structure and the materials used. In the case of the former, schedule a professional inspection before taking any drastic measures. A contractor can determine how much longer your roof has based on the timing of the initial installation, the life expectancy of the materials, and the state of any damage or previous repairs. Some homeowners may want to swap out materials even if existing ones are still in good condition. There are many alternatives to asphalt shingles, so it's worth considering some more efficient options if you can work them into your budget. Metal roofing, for instance, introduces a few unique benefits. Despite higher initial costs, it has a longer life expectancy and is better at conducting heat. If you're not looking to replace, ask a contractor about roofing service repairs during their inspection. A few damaged shingles here and there may not seem like a huge problem, but the damage will only get worse over time. Taking care of these and other roofing issues as soon as possible prevents larger problems such as water infiltration, which can compromise your home's interior. Your roof is your home's first defense against the elements, so you should take all the necessary steps to protect it. The sooner you handle repairs, the longer you'll be able to enjoy the comfort and security of a strong and reliable roof. No matter what kind of roofing services you require, you'll find the best results at Onalaska, WI's, Interstate Roofing & Waterproofing. These expert roofers can handle everything from residential and commercial work to historical restorations. Call them at (608) 783-2106 for a free estimate and visit them online for a look at some of their past projects.